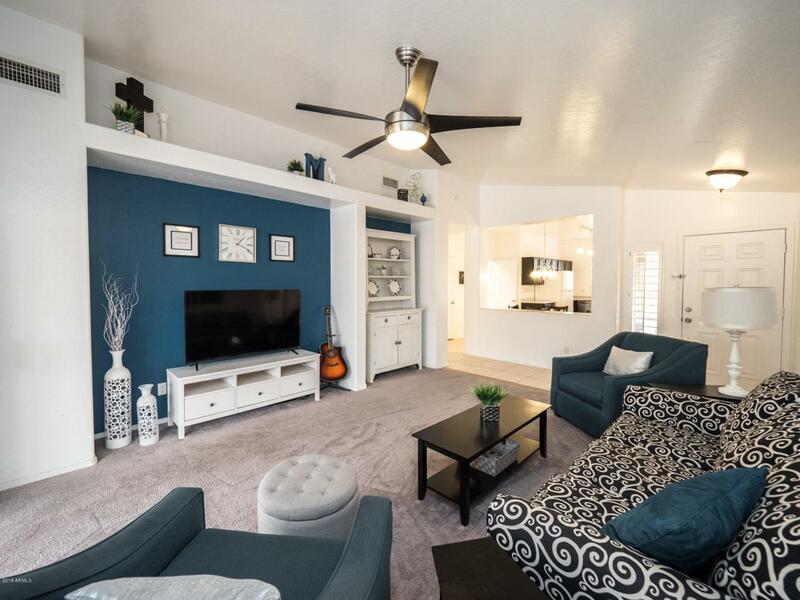 Great Gilbert location near the loop 202, shopping and schools! 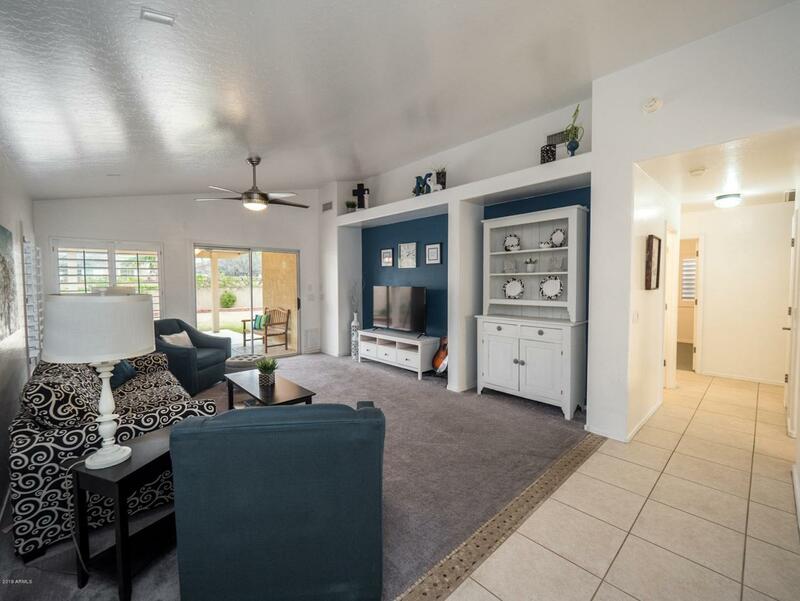 This single-level ranch home offers an open living room to a bright, white and black kitchen. Enjoy the large backyard from the extended covered patio which is plumbed for gas and looks out at a beautiful green belt.This is a fantastic area for playing or building a pool. Gorgeous plantation shutters located throughout the home. 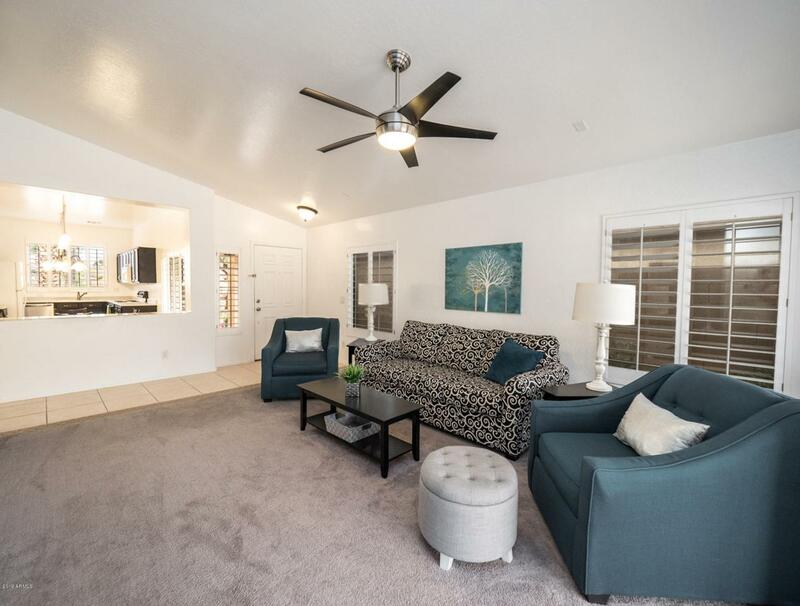 San Tan Ranch offers hiking/walking paths, multiple play areas, and walking distance to school. Don't delay! This one won't last long! Cross Street Higley Rd. & Pecos Rd.